Penn State Extension Philadelphia Master Gardeners : Edible Flowers?! Yes, that’s right, edible flowers. 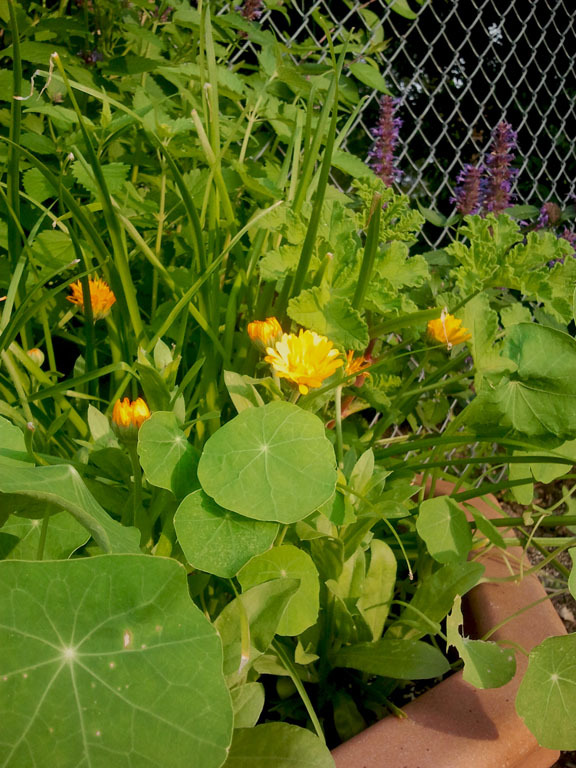 The folks in charge of the PSU Master Gardeners Edible Display Garden have added something fun to the garden this year: A container full of plants with edible flowers. With a special thank you to Clearview Nursery, who donated several of plants, here’s what you’ll find in our garden this year. Steep 2 teaspoons of fresh or 1 teaspoon of dried flowers in a mug of hot water for 7-10 minutes. Serve hot or cold.